The ‘Great Crew Change’ has been a much-discussed subject within the Oil & Gas industry for some time, but it is clear that the skills and capability challenges facing it are very real and in general are not being tackled effectively. This is an area of acute concern for many and is having a real impact on business operations. With some businesses expecting a peak exodus of experienced talent in the immediate future, it is clear that the industry needs to understand and address this problem seriously. Even for those who expect to be less impacted by this issue the knock on effect will be significant and should be considered. This is a complex problem that is difficult to tackle and has proven easier to ignore in the past. However, for some it is beginning to have a serious effect on their business; for others those impacts may yet be further down the line but are no less real. Some organisations are making concerted efforts to address these problems but few feel they are doing enough to avoid them altogether. 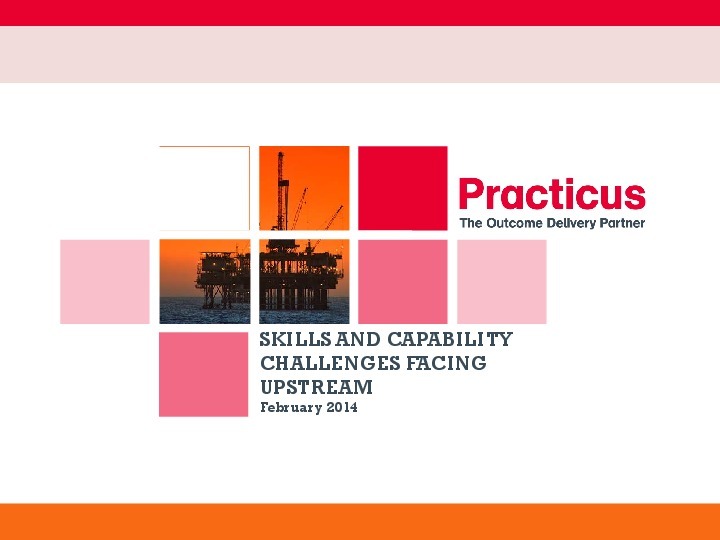 In this 22 page report Giles Lewis of Practicus surveyed over 350 senior leaders from across Upstream, including Operational, HR and C-Suite professionals to understand the scale of the problem, how it is manifesting and how the industry is moving to address the varied capability challenges it now faces. In addition his research was complemented with data from the past 10 years. Get a detailed picture of the challenges facing the industry and discover key positive steps to address them. Download now below. An experienced Market Researcher, Giles heads up Practicus’s Research capability globally, with a particular interest in Oil & Gas. Practicus helps organisations change. Our services are designed to support clients with business and technology change – from helping to formulate what that change looks like through to delivering that change in a variety of ways and ensuring it is sustainable.